abnormal cartilage — for example, changes due to ageing, fractures that extend into the joint, or disease. Other types of arthritis (e.g. rheumatoid arthritis, gout) also affect knees, and may ultimately result in conditions that need the same kind of management as osteoarthritis. All non-operative treatment options should be exhausted before you consider knee surgery. Analgesia: pain relief, in particular paracetamol and anti-inflammatory tablets (if it is safe for you to take them; please discuss this with your GP). Braces: to reduce the load on the affected parts of your knee. Shoe inserts can also help arthritic knees. Physiotherapy: for muscle strengthening and gait improvement if required. Injections into the joint: can be helpful in some instances, particularly if you have medical conditions that make surgery more risky. Lifestyle modifications: can you avoid doing the things that make your knee hurt? Can you take some of the stress off your painful joint (e.g. by losing weight)? Surgery is often the long-term outcome of arthritis of the knee, but these measures may delay the need for surgery. A knee arthroscopy is a common procedure that usually involves two 1cm incisions at the front of your knee. A camera is then inserted into the knee joint. During this operation a number of things can be done to address different parts of the knee. The cartilage (shiny covering of the bone ends) and meniscus (C-shaped shock absorber between the bones) can be debrided (trimmed) if they have loose torn parts. Very occasionally the meniscus can be repaired, but this is not typical in an arthritic knee. While arthroscopy will usually provide some relief for a period of time, it will not cure your arthritis. Many arthritic knees require replacement. This can be a full or partial knee replacement, depending on where the joint is worn. A knee replacement is a big operation and is not risk-free. Dr Ward will discuss the probable benefits and risks of knee replacement with you during your consultation. A knee replacement may need revising (re-doing) after a period of time. This is usually a bigger operation than the initial procedure, depending on what exactly needs to be changed. Dr Ward will discuss the needs of your knee with you when you meet. 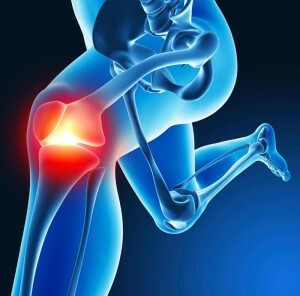 For further details on knee injuries, you may wish to visit Orthoinfo.